AppCommerce is currently in beta and not available to all customers. Download AppCommerce from your account page. Upload the plugin .zip file under Plugins => Add New => Upload. Activate the plugin. 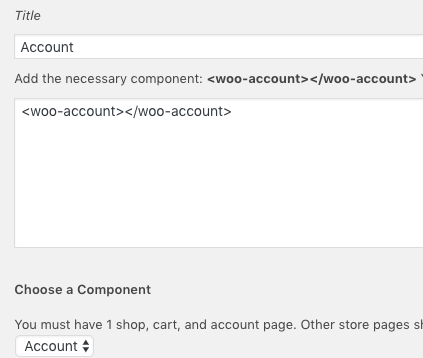 Visit your WooCommerce settings page, and click the advanced tab. Click "REST API" in blue. Enable the REST API if it is not already. Give your key a description, and choose your user. Use "Read" for permissions, and click "Generate API Key". Copy the consumer key and consumer secret to a separate document. Visit your myapppresser.com app dashboard, and click your app. 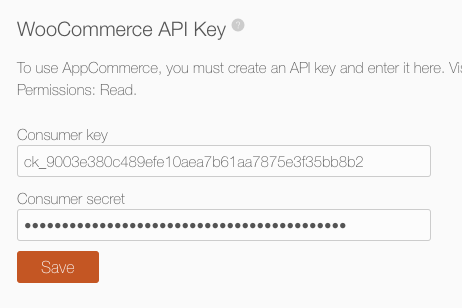 Scroll down to "WooCommerce API Key" and add your key and secret, then save. The last thing you need to do is add your shop, cart, and account pages to your app. Note: If you used the AppCommerce app template, you may already have these pages created. If so, you do not need to create them again. Visit your app customizer, and go to Custom Pages. Click "Add New Page" and choose "AppCommerce." 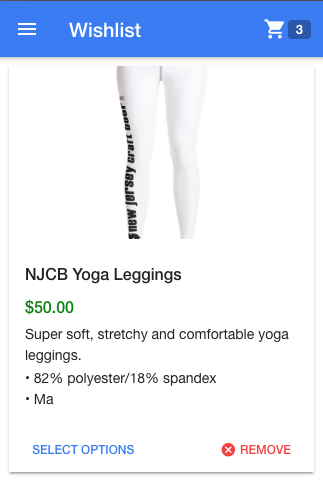 All that is required is the woo-list tag, and "Shop" selected under component. Add this page to your menu. Note: to customize what products or categories are displayed, you can use the url parameters found in the WooCommerce REST API documentation. For example, you can add "products?type=simple" to show only simple products. 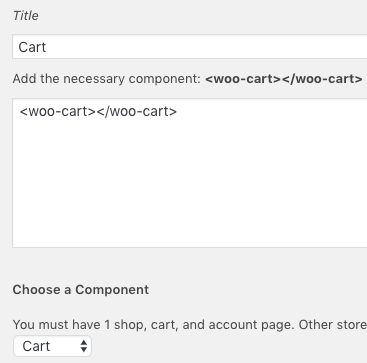 You are required to have the woo-cart tag somewhere on the page, and "Cart" selected as the component. Save this page and add it to your app menu. The shop, cart, and account page are all that is required, you can now rebuild your app and try it out. Customers can click "Add to list" on a product, which saves to their wishlist. 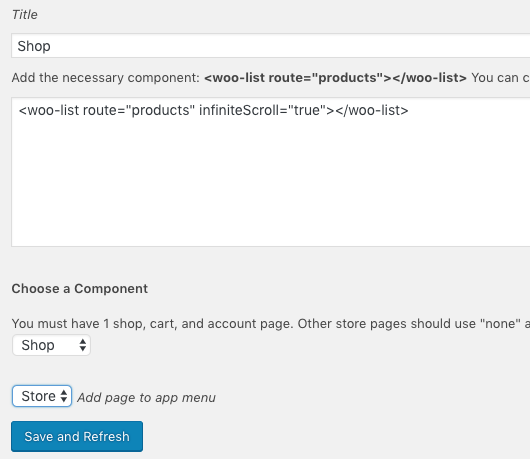 To customize what products or categories are displayed, you can use the url parameters found in the WooCommerce REST API documentation. For example, you can add "products?type=simple" to show only simple products. Please see this article for information on customization. Checkout happens on your website through the in app browser. We recommend using the WooCommerce Smart Checkout plugin for the best experience. You can customize your WooCommerce pages, and also add other pages such as a wish list or category pages. Please see this article for information on customization.